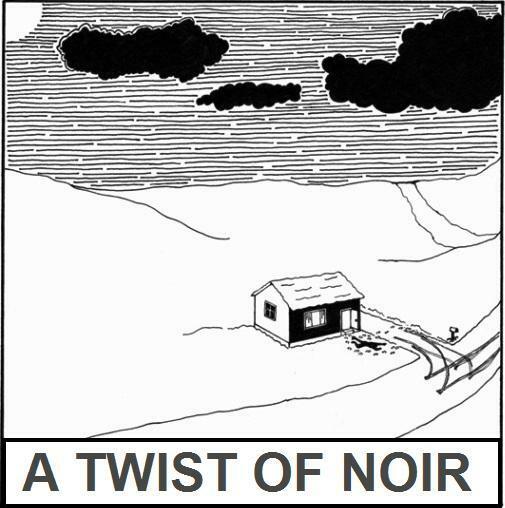 A Twist Of Noir: A Twist Of Noir 547 - Phil Beloin Jr.
OF DUBIOUS PIETY - PHIL BELOIN JR.
Police from two counties say a baker’s dozen were butchered, most during the hot months, when the stink of fresh blood and viscera would cling in the nostrils. In dank recesses and abandoned shadows, beat cops stumbled upon gutted bums, decapitated hookers, mutilated transvestites. The lawmen cornered a suspect in a rundown farmhouse, gunfire igniting a gas stove, the inferno leaving nothing but cinders and charred marrow. Picking through the razed stead, detectives unearthed a root cellar with a collapsed tunnel, its exit far out in a field of withered stalks. Some suggested that the killer might have escaped, that the riffraff were not safe. Maybe a dedicated medical examiner can determine the identity of the fourteenth victim—yet another streetwalker of dubious piety. And those rumors that the killer survived? Yep, you’ll be hearing from me again real soon. BIO: Much like the narrator of this tale, Phil Beloin Jr. is busy...umm...fleshing out more short stories. His novel, The Big Bad, is available at Amazon. You can even search through the book. Phil recommends page one. "When were they ever?" The positioning of that line is just exactly perfect to set up the final line and take the detached observer from shadow to THE BOGEYMAN! RIGHT BEHIND YOU! status. A lot done with a few words. Well planned, well crafted read. Great read, Phil. Not a word misplaced. Not a word less than it ought. Powerful writing with, as AJ said, a perfectly positioned twist at the end. Brilliant. Thanks, Ian. "When were they ever?" Powerful line to begin with, then doubly so with the ending revelation.